A favorite among professionals when blocking larger surfaces. 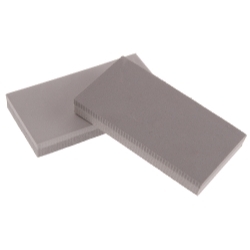 Fits standard 2-3/4" width sand paper either pre-cut or rolls. Ideal for large flat or slightly curved surfaces. Accomplish that perfect curve witout digging into fill.